The video of Hatsune Miku on David Letterman’s ‘The Late Show’ has gone Viral with over 900,000 hits in three days! 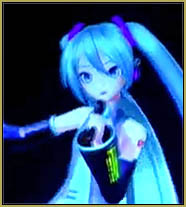 On October 8th, 2014, our virtual pop star Hatsune Miku made her U.S. television debut with an appearance on The Late Show with David Letterman. On October 9th, the Official video was posted on YouTube … and tonight, the 11th, it has over 933,000 hits! I never thought I would see Miku on David Letterman’s show! 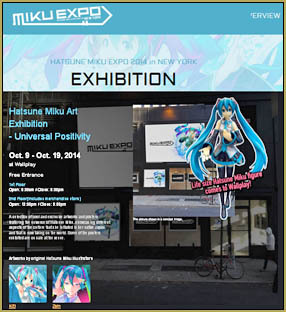 Miku’s appearance came the day before the Hatsune Miku Expo 2014, with her art show “Universal Positivity”, opened in New York … and soon to be in Los Angeles, too! The stage was set with Miku’s “screen” placed well back on the small stage, with the band members out in front of the screen. She may have looked 3D and “live, on stage!” to the studio audience … but to us, the television viewing audience, she was totally flat and cartoon-like. In fact, she was so TWO-D that, in my opinion, she might as well have BEEN a cartoon image. Only once or twice did we get a hint that she may, indeed, be a 3D image. Her song, her voice, was created using Vocaloid, and was high-pitched and difficult to understand … I had decided that she was singing a Japanese song … but I later learned that the song was sung in English … who knew?? I would have thought that, in preparation for her U.S. national television debut, the artists creating the presentation would have been more careful to present her in the best light possible … singing the song with nice enunciation and clarity … but there it was … hard to decipher. It was fun to see Miku “onstage”. David Letterman introduced her as he would have any other closing act on his show. … And he was respectful of the group at the close of the act; making only a small joke about how she disappeared into wisp of “smoke” as if something you might experience on-board Willie Nelson’s bus. Over 933-thousand views in under three days says it all … Miku is popular and the world is curious about her. What fun! 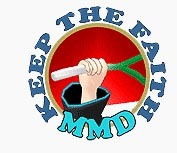 No MikuMikuDance MMD in India... can it be?